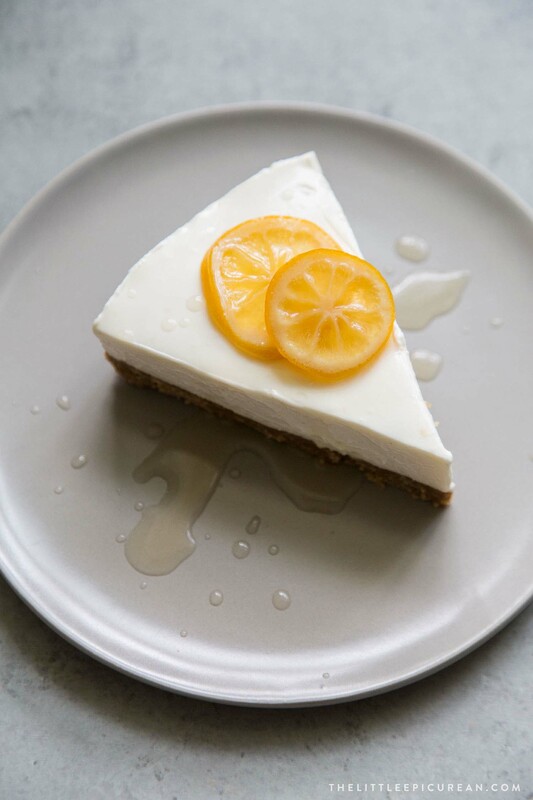 This no bake Greek Yogurt Cheesecake is made with a gingersnap cookie crust and topped with candied lemon slices. Did you ever make those Jell-O No-Bake Real Cheesecake mixes growing up? Here’s an easy from-scratch homemade version! Traditional cheesecake is very time consuming. 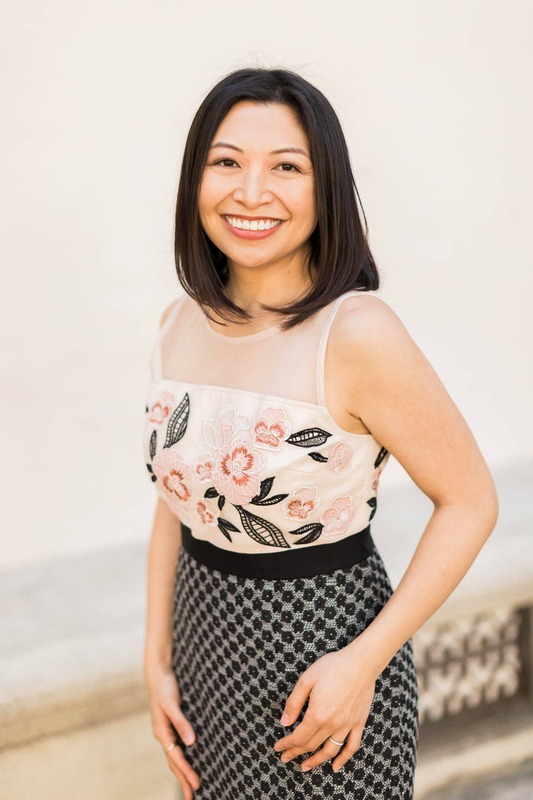 It is gently baked in a water bath, allowed to cool to room temperature, and then chilled for a few hours until it’s finally ready to slice into. 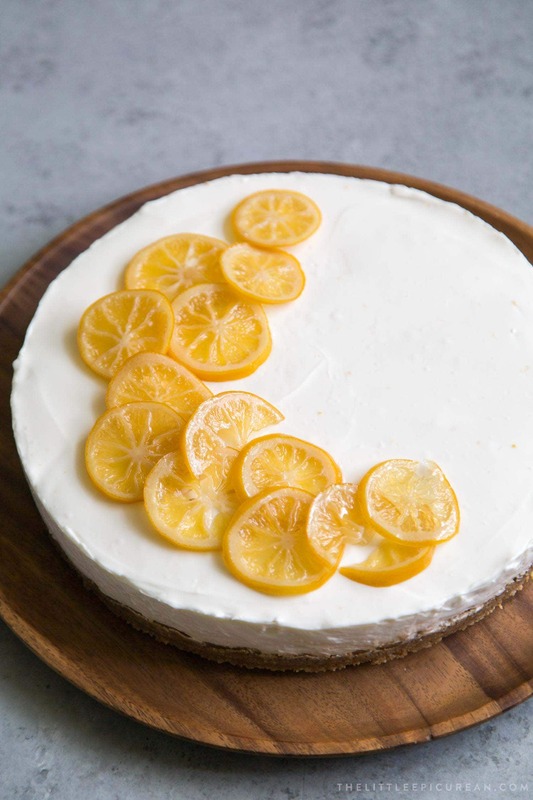 This no bake cheesecake is super easy to make. With the help of a food processor, this cheesecake is whipped together in a breeze. 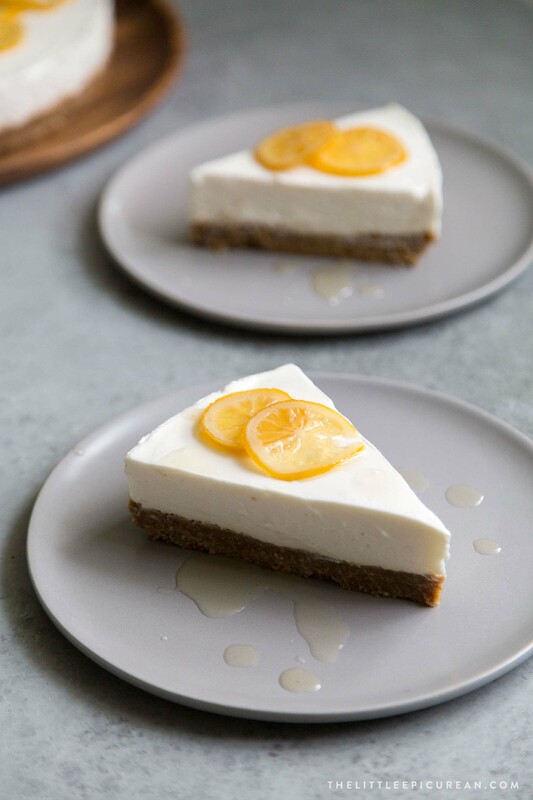 The filling for this no bake cheesecake is made from a mixture of cream cheese, Greek yogurt, sour cream, and gelatin. Yes, this cheesecake contains gelatin. It is what makes jello jiggle, panna cotta set, and what keeps mousse stable. Gelatin is derived from animal collagen, usually from a combination of pork skin, cartilage, and bones. Gelatin is most commonly sold in dried powder form. However, it is also sold as gelatin sheets, which can be found at speciality baking stores. There are vegan gelatin alternatives available as well. Agar (also known as agar-agar) is widely used in Asian desserts. It is made from algae. Carrageenan is another option, which is derived from dried seaweed. Why add gelatin to no bake cheesecake? Traditional cheesecake is made with eggs. Egg yolks contain lecithin, a natural emulsifier. As such, the egg yolks act as a binder, ensuring the homogenous mixing of ingredients. Lecithin stabilizers the ingredients, allowing the liquids and fats to stay glued together. It helps to “set” the mixture. 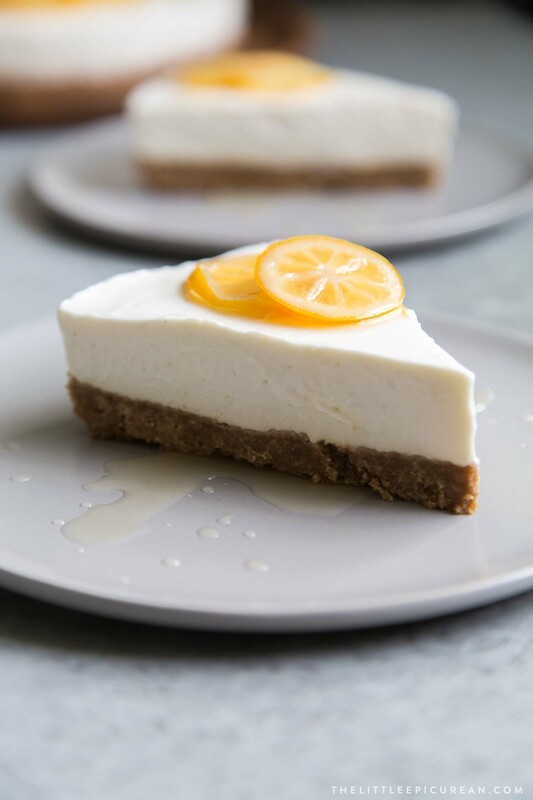 Since this no bake Greek yogurt cheesecake contains no eggs, the gelatin acts as the stabilizer. The addition of gelatin gives this cheesecake a creamy, mousse-like texture. How to use gelatin powder? Unflavored gelatin packets are available at supermarkets next to Jell-O and pudding products. 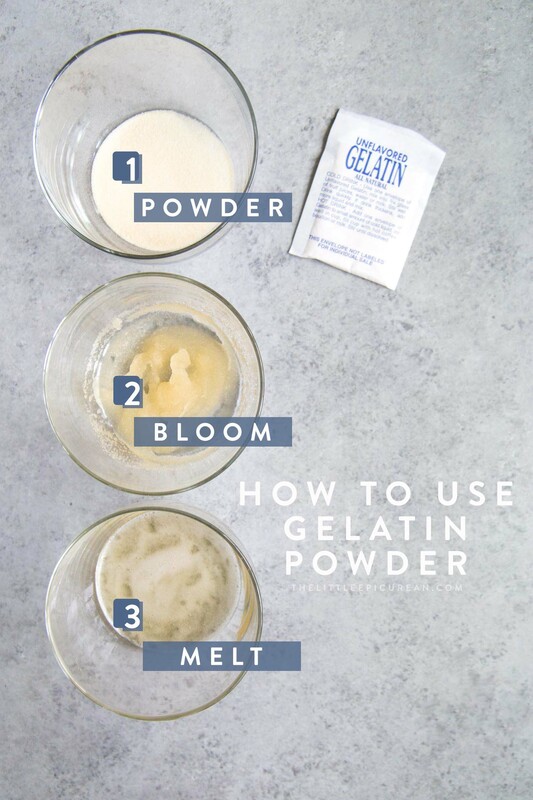 Gelatin needs to be “bloomed” prior to use. To “bloom” gelatin, mix the powder with cool water. Allow the mixture to sit for about 5 minutes. During this time, the powder will plump up as it absorbs the liquid. Gently heat the bloomed gelatin until it dissolves into liquid. At this point, the liquid gelatin can be mixed with the remaining ingredients. As the gelatin cools, it will solidify. Is this cheesecake healthier because it’s made with yogurt? Not really. This cheesecake is healthy-ish. The recipe still contains a decent amount of full fat cream cheese and a touch of sour cream. However, to slightly cut back on fat and calories, the addition of 2% Greek yogurt provides a similar creaminess as cream cheese. Plus, it adds protein! 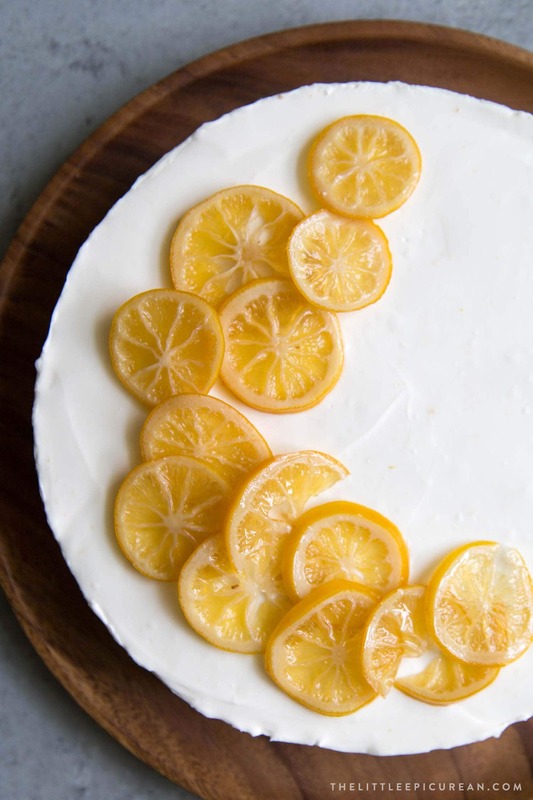 The finished cheesecake is topped with candied lemon slices and a drizzle of lemon syrup from these Meyer lemon ricotta pancakes. Sliced strawberries or a mixed berry sauce is a great alternative topping. For a decadent touch, I suggest topping the cheesecake with toasted pecans and maple syrup. Crust: Line 9-inch springform pan with parchment paper. Set aside. Mix together ground gingersnap, ground graham crackers, melted butter, melted coconut oil, and salt until well moistened. Transfer to prepared pan. Press into an even layer. Let chill in the fridge as filling is prepared. Filling: In a small bowl, mix together powdered gelatin and cool water. Allow to sit for 5 minutes. Microwave at 10 second internals until mixture has dissolved into a liquid. Allow to cool slightly. In the bowl of a food processor fitted with a blade attachment, add cream cheese, Greek yogurt, sour cream, sugar, lemon paste, lemon zest, lemon juice, vanilla, and salt. Process until mixture is smooth. Add in liquid gelatin. Mix until well combined. Scrape down sides of bowl as needed to ensure thorough mixing. Pour filling into prepared pan over crust. Spread into an even layer. Forcefully tap springform pan against hard surface to remove any air pockets (or air bubbles) in filling. Cover springform pan with lid or tightly cover with plastic wrap. Allow to chill in the fridge overnight. Candied Lemons: Combine water, sugar, and honey in a heavy bottomed sauce pot. Bring to a boil until sugar has dissolved. Add lemon slices. Reduce heat to low and let simmer for 30-40 minutes, flipping lemon slices every 10-15 minutes. Cook until lemon slices are tender. Tips on cutting cheesecake: Warm knife under hot water and wipe dry before slicing. Wipe knife before each slice. Alternatively, use stainless steel cheese wire or unflavored dental floss. I used Fage strained 2% Greek yogurt. This is the lemon paste I used. It is also used in this Frozen Lemon Blueberry Cheesecake Bars. Non-fat or Full-fat Greek yogurt can be use in place of 2% yogurt. Lemon paste can be omitted or replaced with additional lemon juice and lemon zest, to taste. Regular lemons can be used in place of Meyer lemons. Thanks so much! I hope you give the recipe a try!